Almost every great organization or institution begins with a personal story. 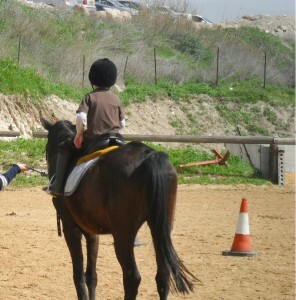 I discovered one such school-therapy network in Israel — the SulamSpecialEducationCenter. “Sulam” is Hebrew for “ladder,” because they appear to be helping many children with disabilities climb higher than they ever thought possible. In the case of Sulam, the inspiration came from a woman whose eyes and heart were open enough to see someone else’s story. I think there is something in her story from which we all can learn. It had modest beginnings. Mrs. Feiga Ernster, a native Chicagoan, married in Israel and opened a small neighborhood playgroup. A neighbor in her building asked if her disabled son could join the group. She agreed, and soon other mothers of children with special needs heard about this playgroup that would accept their children. Mrs. Ernster realized that she was addressing a problem that she hadn’t even known existed. Ernster decided to make her naturally inclusive playgroup more official, and began the bureaucratic process of hiring professional staff, obtaining permits and licenses and evaluating the children in order to address their individual needs – a daunting challenge, but one which she undertook with love and dedication, opening her first official class in 1981. That dedication continues to impact on the special atmosphere I encountered at one of their Jerusalem branches, which I visited recently, on a sunny winter day. Today Sulam has ten branches throughout Israel. When I looked over their annual report, a number of things caught my eye. First of all, Sulam is supervised by nine government and municipal offices, which means there is full accountability. 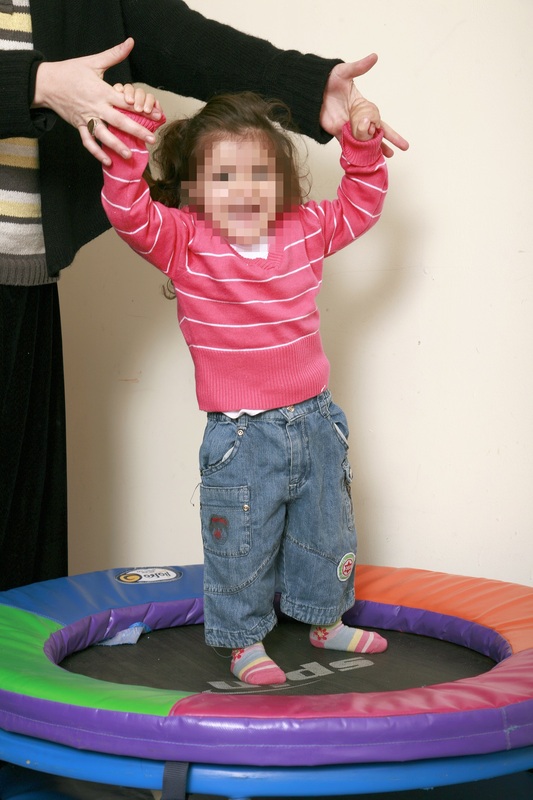 Chana says that they believe that the treatment and care Sulam offers during the critical toddler and early childhood years is of immeasurable benefit to the future development of these children. It is a known truth in any area of education – that the younger we get to them, and the more personal the interaction, the greater chance for success. What I saw on my visit was small, cheerful classes, clearly enabling each child to receive a more individualized program. Esther Ernster, daughter-in-law of the founder, is the director of Sulam today. She stepped into the role thirteen years ago, at the request of her mother-in-law, as a co-director, and since 2012 has been the official director. 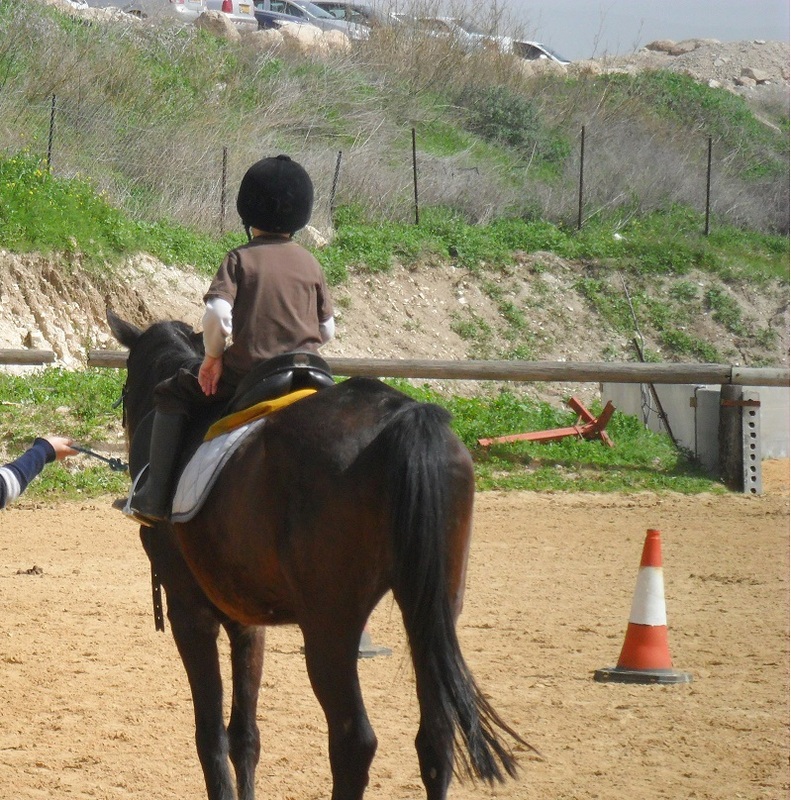 There are approximately 500 children in Sulam’s various programs, ranging in age from 6 months to 17 years, in centers in Jerusalem, Beit Shemesh, Modi’in Illit (Kiryat Sefer) and Kiryat Yearim, with almost 500 full and part time staff and 55 National Service volunteers. The staff includes special education teachers, paramedical therapists, counselors, educational advisors, psychologists, social workers, a pediatric neurologist and tutors. 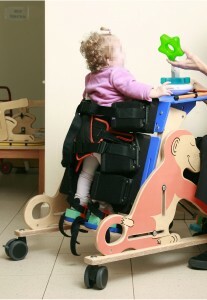 Therapies include speech and communication, occupational, physical, music, zoo, play, sport. More exotic therapies include “Floortime” Therapy (D.I.R. Program), which helps children with communication disorders learn to interact with others through an individualized approach, where caregivers enter the child’s world, share his feelings, and help him learn to relate to the world around him, and Multi-Sensory Treatment in a Snoezelen, which Improves sensory balance, promotes calm and well-being, arouses passive children. Most of the centers offer full day programs. They address the needs of the rest of the family, as well, with private sessions, support groups, seminars and conferences, that help parents and siblings cope and accept the child with special needs as an integral part of the family. The combination of knowledge and love appears to give the families the tools they need to cope and to feel comfortable, capable and loving toward their disabled child. Afternoon enrichment programs help students develop in the non-scholastic areas, such as art, music and dance. Sulam provides programming during most regular school vacation days, which helps provide parents with time to give to their other children. Sulam offers free evaluations for parents who suspect developmental problems in their children. The organization participates in research projects and has pioneered many new treatment methods. In addition to private donors, Sulam enjoys the support of the Jewish Agency, PEF, and the Sobell, Bachrach, and Donald Berman Foundations. Sulam has also received help from businesses, such as Bank Yahav, Checkpoint, Discount Bank Investments, the Israel Electric Company and Mercantile Bank. These have all contributed funds for specialized therapeutic programs or equipment. The network has won several prestigious awards, including the Trump Chessed Award and the Jerusalem Mayor’s Award. Devorah, originally from New York, says, “From 18 months old we knew that something was a little ‘off’ but we could not put our finger on where the problem lay. He didn’t know how to deal, at three years old, with normal social situations that arose. He would wonder, ‘Why am I being punished?’ and there was a lot of discommunication. He was constantly getting into trouble and he couldn’t be in a regular pre-school. He didn’t appear to be on the spectrum of autism so it was hard to get a diagnosis. As he grew older social acclimation was not progressing — he just was not coping with the situations, nor did the standard school have the resources and/or know how to deal with him. “Academically he excelled to be one of the top students in the class, but socially he was falling way behind, causing him significant low self esteem, etc. At first the staff tried above and beyond the standard to help him succeed, at which point the unanimous decision was that he would be better off in a smaller school with children of the same intelligence level. The problem was that no such school existed in Israel. After much worry over the summer vacation about how to proceed the following school year, which was due to start in two weeks, Sulam announced that they will undertake to open a class for the coming year. “I don’t know where Moshe or we would be today if not for Sulam. The professionals there totally took control, assessed him almost on the spot, and they’re dealing with it. He’s been there since 2010. I asked Devorah for an example or two of how Sulam is different from a “regular” school. Ernster says, “The specialty of Sulam is that we offer an answer for every request; if there is a problem, we find a way to help. That is how so many frameworks and classes developed over the years, through our desire to respond to the needs and our decision to turn no one away. As a result, today we have programs that address a wide variety of issues. Every branch has its specialties and its specialists so the children have access to a wide variety of professionals. “As a result of this expansive network, we sometimes discover that children had not been properly assessed. For example, many children who were thought to be autistic turned out to have emotional problems. Children who were thought to have developmental problems were discovered to have communication issues. Those who worked with them in the areas of communication discovered fears or emotional issues. We are able to identify the real problem. Ernster emerged from the field of regular education. She was a happy junior high school teacher when her mother-in-law asked her to help out at Sulam. She asked advice from the Vishnitzer Rebbe, the spiritual leader who she and her husband follow, and he encouraged her to go for it. Today, a mother to nine children, she oversees an organization with a budget of almost nine million dollars a year. As she began to understand the breadth of what was involved, she began to take courses in management, finance and human resources at various colleges and universities. Now, she says, “I have many connections with colleagues throughout Israel. I went wherever necessary to learn from them.” Today she is an active participant in a number of important professional forums. How was it as a Hassidic mother to become an active member of this managerial and professional world? Ernster and her colleagues are inspiring and prove that knowledge and love can help any child climb that ladder to a better life.